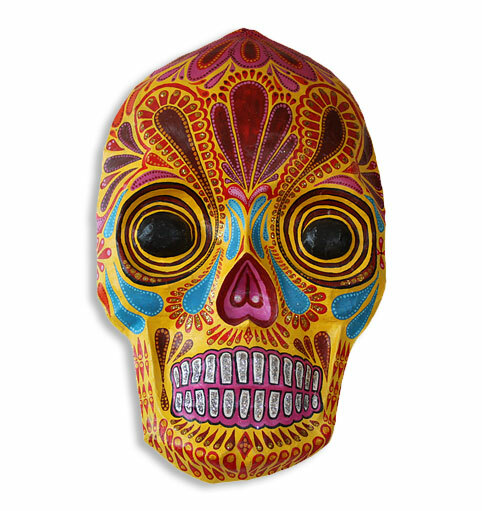 Inspired by Mexico's Day of the Dead, the one-of-a-kind skulls are created using paper mache, acrylic and glitter. The ornamental masks are approximately 14" x 21.5". For inquiries, please contact the artist.